On the 20th of September, the European Transport Workers’ Federation (ETF) organised a Roundtable in Amsterdam, the epicentre of Europe’s luxurious river cruise industry. The event welcomed employers, worker representatives and other industry stakeholders. Discussion at this gathering centred on the plight of both nautical and hotel staff in the sector, whose dark side has been revealed by the international press. River cruises are big business. The booming sector sees ever-increasing numbers of passenger vessels sailing internationally on European rivers, especially the Rhine and the Danube. Alongside the nautical crew who navigate and look after the ship, a great number of workers are employed on-board as hotel and catering staff. The majority of these come from Central-Eastern Europe or non-EU countries. They are often employed on contracts from Cyprus and Malta. The lower standards in these countries and the rules of the EU single market allow employers to reap super profits from the exploitation of workers. 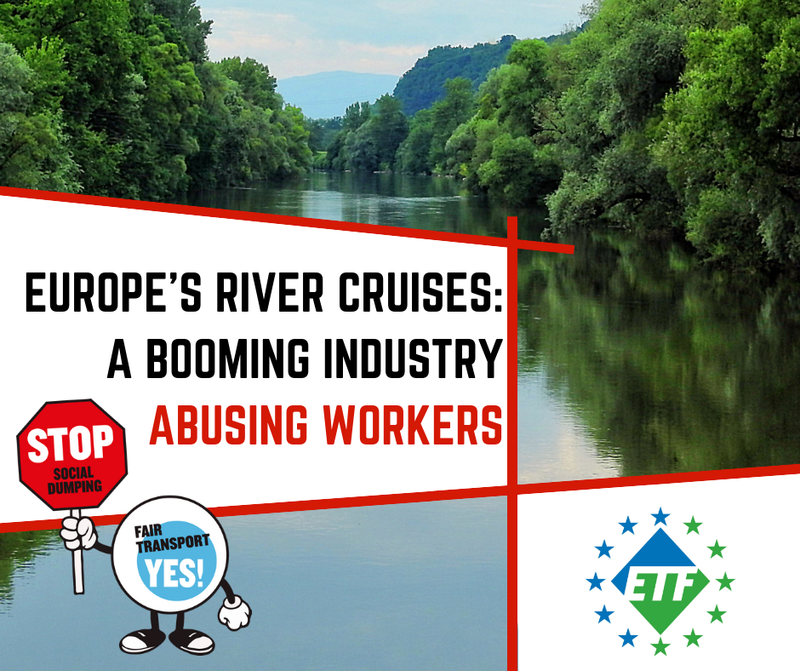 Over the last years, the ETF has received many reports of low wages, excessive working hours, unpaid overtime, and appalling working/living conditions on board of river cruise vessels. Recently, investigative journalists reported that vulnerable workers are habitually required to hand over their passports and pay deposits for their uniform. Such practices rob workers of their freedom and place employers under suspicion of human trafficking. Authorities are starting to take notice. Inspections and controls reveal systematic infringements of labour law, health & safety rules, and migration policies. Aquapol, the overarching organisation of the European water police, intends to prosecute offenders under criminal law. As a way forward, trade unions invite employers to work together on a European framework agreement. A level playing field and minimum social standards are crucial means to make river cruises a fair experience for everyone on board.